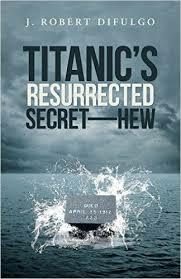 Having done a lot of reading about the Titanic and its survivors, I was interested–not only in the book, but in this fascinating man and his stories. Since I found him so engaging, I thought others might too, I told him I too was a writer and proposed that I write a feature story about him and his books for Viva Tysons, Northern Virginia’s upscale lifestyle magazine. He loved the idea. To make a long story short, I pitched the article, sold, wrote and published it, titled “My Last and Final Dream: An Interview with Author J. Robert DiFulgo,” all within a month’s time. Read my article here. As a result, readers in the Northern Virginia area learned about Robert DiFulgo and his books and Robert ended up with a PDF version of the story he can use for his own marketing. He plans to post it on his website and social media, and send it via email to his mailing list, prospects, friends and family. The best part is: it didn’t cost Robert anything for this publicity! The magazine paid me to write the article. It all came from a serendipitous meeting that will end up breathing new life and excitement into Robert’s publicity efforts. If you think you have a great story about your business, believe that others will think so too. Pitch your idea to a writer or editor and see if you can land a feature story. If you don’t know how to do this, contact me at info@allthebuzz.net. As a writer, we’re always looking for great stories. Postscript: The clock face fit perfectly into Robert’s clock and looks beautiful. It too, has a new life.